A recent conversation made me look back at one of the novels of Charles Williams. The Place of the Lion is one of his earlier works, and it's actually the novel that introduced C. S. Lewis to Williams and sparked the strong friendship the two would share. It is, not surprisingly, a very strange tale, and I'll spare you most of it. But, the scene that I was revisiting this week came alive to me with the second reading in a way that it could never have before. One of the main characters in the novel is a girl named Damaris, a young scholar who is primarily studying the works of Peter Abelard, a Christian philosopher from the 12th Century. Damaris is driven and ambitious, and she knows her stuff. However, while she knows Abelard's writings, the reader quickly learns that Damaris has no sense of the truths behind his work. For her, Abelard is just a figure, his writings, a corpus--they're ideas that lack any point of reference in reality. Then Damaris meets Peter Abelard. Against that angry sky he came on, in that empty land his voice rang out in joy, and she tried to move; she ran a few steps forward and made an effort to speak. Her voice failed; she heard herself making grotesque noises in her throat, and suddenly over him there fell the ominous shadow... Only for a few seconds, then it passed on, and he emerged from it, and his face was towards her, but now it had changed. Now it was like a vile corpse, and yet still it was uttering things: it croaked at her in answer to her own croakings, strange and meaningless words. Individualiter, essentialiter, categoricorum, differentia, substantialis--croak, croak, croak. The "ominous shadow" and the thing that cast it are way too confusing to go into here, but the image is striking, nevertheless. The Abelard of Truth, after the shadow falls, is replaced by the only Abelard that this academic has ever acknowledged. He is merely a dead man, though still capable of spewing out technical, Latin, philosophical prattle. The threat is no where more dangerous than in Biblical studies. The Bible is, of course, the most important piece of literature in Western Civilization, and there's still much to be learned about it. But, that has little bearing on the reading of scripture as the Body of Christ. As Augustine himself once put it: "Whoever thinks that he understands the divine Scriptures or any part of them so that it does not build up the double love of God and of our neighbor does not understand it at all." Study is good; an education in Liberal Arts or in theology is good. As you pour over these great minds and holy Scriptures from over the millennia, just don't forget to let them speak. Well, today marks the 4th anniversary of through the wardrobe. --confetti-- We've come a long way in four years... I'd standardized the color of the font, and my name is no longer at the end of each post. There have, hopefully, been other changes as well. One thing that has not changed over the years has been Lewis's influence on me (and by extension, the blog... just look at the name) and his frequent presence here--check out the 'Lewis' tag at the bottom of this post if you want to see more of him. So I thought it would be appropriate to bring in year four with a word from C. S. Lewis. Southern Baptists are not the most uniform bunch. which are intended to cross congregational lines, such as the Baptist Faith and Message, are not imposed on any body. Indeed, sadly, with many Baptists, doing things the way you feel they ought to be done is *much* more important than any uniformity... or unity. This is one gripe, however, that I have heard from many a Baptist over the years--perhaps something that can be tentatively said to be 'agreed upon.' The gripe goes like this: those denominations with formulaic worship have got it all wrong; how can you honestly praise God if you're just reading words out of a book, or just repeating things without ever thinking about them? You get the gist. 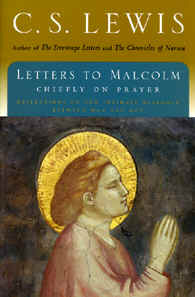 Lately I've been reading Lewis's Letters to Malcolm: Chiefly on Prayer, and this is a topic that Lewis broaches almost immediately in the letters. Novelty, simply as such, can have only an entertainment value. And they don't go to church to be entertained. They go to use the service, or, if you prefer, to enact it. Every service is a structure of acts and words through which we receive a sacrament, or repent, or supplicate, or adore. And it enables us to do these things best--if you like, it "works" best--when, through long familiarity, we don't have to think about it. As long as you notice, and have to count, the steps, you are not yet dancing but only learning to dance. A good shoe is a shoe you don't notice. 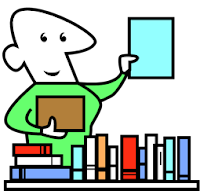 Good reading becomes possible when you need not consciously think about eyes, or light, or print, or spelling. The perfect church service would be one we were almost unaware of; our attention would have been on God. ... every novelty prevents this. It fixes our attention on the service itself; and thinking about worship is a different thing from worshipping. Any responses? Agreement, staunch opposition, further questions? James Dunn, author and theologian, is giving a talk at the Church of the Ascension in downtown Lafayette, Louisiana, on Thursday November 19th. If you're in the Baton Rouge-Laffy area, you should seriously consider going to this. Dunn is, along with N. T. Wright and E. P. Sanders, one of the real pillars of the New Perspective on Paul movement in New Testament scholarship, and actually the fellow who coined the phrase 'new perspective.' He is easily one of the most important NT scholars in the English-speaking world today. I've not had time to read much of Dunn's work, but, in the little exposure that I've had, he has fundamentally changed the way I read Romans. Again, I highly recommend this event to anyone and everyone who can make it (I wish I could). It's going to be in the evening--I'm not positive of the time--but more details should be forthcoming on Ascension Church's website.